If you are looking for a fun way to celebrate Mother’s Day, you may find the answer in our scenic northeast corner of Oregon. Mother’s Day, Sunday, May 8, is opening day for the Eagle Cap Excursion Train’s 2016 season. It is an excellent opportunity to enjoy a delicious brunch while viewing the beautiful spring scenery along the Grande Ronde and Wallowa Rivers. The many shades of green and colorful wild flowers in May make it an especially scenic time of year in the canyons. The Mother’s Day trip features brunch, prepared by Chuckwagon Sisters Catering and served on the train during the trip. The menu includes a wonderful selection of egg and meat entrée items, fresh pastries, fruit and beverages. The train departs at 10 a.m., Mother’s Day, from the depot in Elgin, just twenty miles north of La Grande, Oregon. The route is almost entirely roadless, offering views of a landscape that can’t be seen from an automobile. High, timbered and open ridges tower above while rugged basalt cliffs hug the track and light dances off the ripples. Birds and wildlife are common along the way. Highlights also include the Rondowa Bridge, where the two rivers converge and continue their journey to join the Snake River. This is a popular trip, so reservations are required. Tickets are available through the online booking service on the website, www.eaglecaptrainrides.com or through Alegre Travel, the excursion train’s booking agency, 800.323.7330 or train@alegretravel.com. Alegre Travel agents can also, upon request, book motel rooms and offer advice on other activities and attractions in the area. We are busy planning our 2016 season! See the schedule and trip descriptions under Ride the Train on the main menu. You can book online or talk to an agent by contacting Alegre Travel, train@alegretravel.com or 800.323.7330. Our engines were repainted in 2016, so the exterior of the whole train has been painted over the last year. We thank volunteer engineer and board member David Arnold for all of his hard work coordinating and accomplishing these improvements! This photo was taken by our board president and volunteer engineer Ed Spaulding. Fall weather and shorter days are adding colorful highlights to the Grande Ronde and Wallowa River canyons, making a trip on the Eagle Cap Excursion Train even more scenic. This Saturday, learn about the history of the Joseph Branch and railroads across the region through exhibits in the depot and on the train from guest historians Harlan and Becci Scott. Trains and railroads played a large role in the settlement of the west and its growth during the twentieth century. When the Joseph Branch opened in 1908, an important connection was made between the main rail line that passed through La Grande and the remote rural community of Wallowa. Expansions of the line eventually linked via rail Lostine, Enterprise and Joseph, as well. Trains provided reliable transportation for passengers and freight for many years. Hear about the ups and downs of rail service and how this line was saved from salvage in 2004. The Eagle Cap Excursion Train is offering an unusual train ride Saturday, August 29. 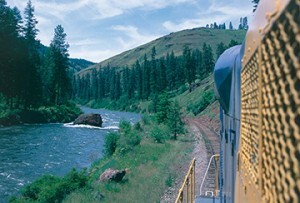 The train operates on a remote stretch of track between Elgin and Wallowa, Oregon, in the state’s scenic northeast corner. As was typical when railroads were constructed early in the twentieth century, the track follows the shores of two rivers, the Grande Ronde and the Wallowa, and crosses tributaries along the way. Both of these rivers are known as outstanding fisheries, particularly for steelhead and Chinook. Lookingglass Creek joins the Grande Ronde several miles downstream from the town of Elgin and a few upstream from the confluence of that river with the Wallowa. 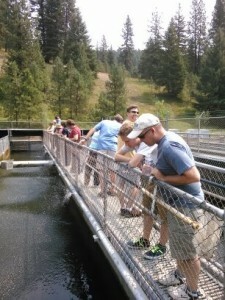 Lookingglass Fish Hatchery, operated by the Oregon Department of Fish & Wildlife, is located just two miles from the railroad, making it a very handy side trip for outdoor enthusiasts and rail fans alike. Saturday, August 29, the Eagle Cap Excursion Train will once again offer its annual combined train ride and fish hatchery tour. The tour is timed to give passengers a look into how the hatchery works to maintain and improve the population of Chinook salmon in the waterways of northeast Oregon. Participants will watch hatchery staff extract eggs from spawning salmon and see how juveniles are raised in hatchery ponds for eventual release. The train ride departs from the Elgin Depot at 10 a.m. and returns around 2:30. Passengers will ride the train 11 miles to the old Palmer Junction mill site, where they will board a bus for the short ride to the hatchery. After the tour, passengers return to the train and are served lunch during the return to Elgin. 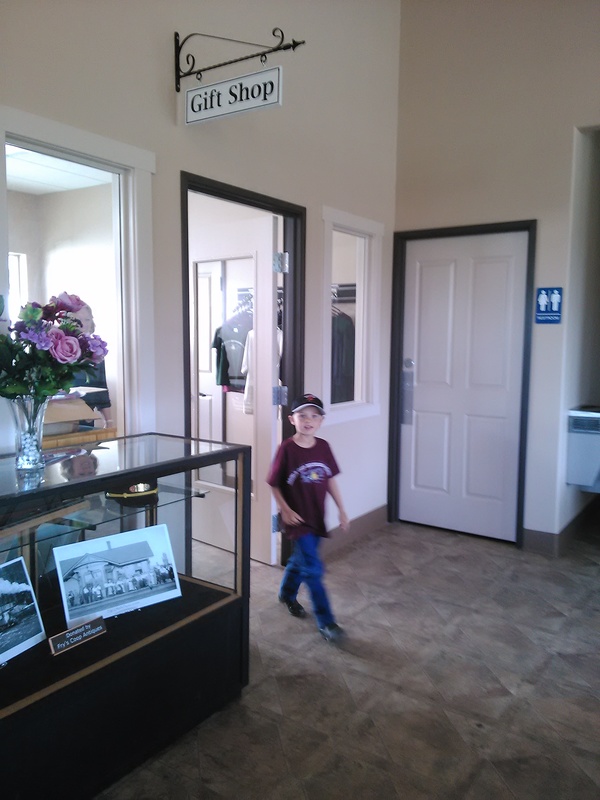 The depot offers a gift shop, historical displays, public restrooms, indoor or covered outdoor waiting areas and ample parking for passenger cars and coaches. Completed in 2012, the depot was designed to reflect the style of the depot that earlier stood on the site. 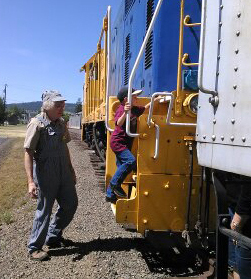 The Friends of the Joseph Branch, a non-profit organization, manages and operates the train for the Wallowa Union Railroad, with certified members volunteering as car hosts, engineers and conductors. The volunteer organization has also been responsible for the passenger car renovations. See the 2015 fall train schedule www.eaglecaptrainrides.com. For tickets, call Alegre Travel, 541.963.9000 or 800.323.7330, or reach them by email to train@alegretravel.com. Due to the high risk of fire in our forests and range land and corresponding fire restrictions put in place by the Oregon Department of Forestry, the Eagle Cap Excursion Train has cancelled its August 15 train ride. We are very sorry for the inconvenience and disappointment this causes our passengers. Unfortunately, the conditions and weather are beyond our control. With the hot weather and extremely dry conditions, the risk is too high for Wallowa Union Railroad. The cost of putting out a fire caused by the train would prohibitive, not to mention the environmental devastation. Agents at Alegre Travel are calling the 130 passengers with reservations. They are booking the passengers on other trips when possible and those who can’t re-book will have the ticket cost refunded. This cancellation doesn’t affect the August 29th train ride and Lookingglass Fish Hatchery tour, although there is a chance it could if the dry conditions don’t improve. We continue to book for the rest of the season and hope for better conditions soon. We will keep everyone informed of any new information through this website and on Facebook. Custom made for the Wallowas! 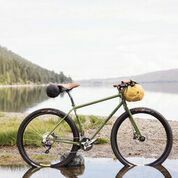 To celebrate the 7 Wonders of Oregon, Travel Oregon asked seven of Oregon’s best bicycle makers to create seven one-of-a-kind bikes. All this summer, the bikes will be hidden where they belong, at Oregon’s 7 Wonders, for lucky adventurers to find, own and ride. This week, collect the clues and start searching for the custom made Wallowas bike! What is this all about? 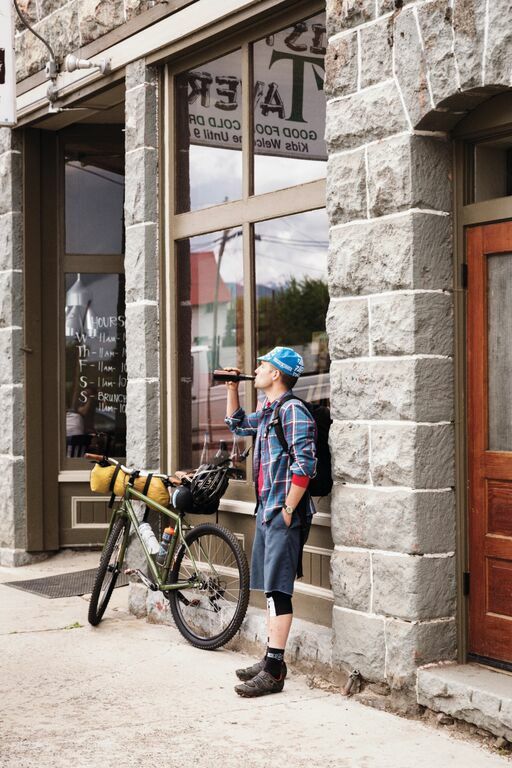 Watch the video to learn more about this promotion, introducing people to Oregon’s incredible cycling opportunities in each of the Seven Wonders of Oregon. TravelOregon.com/7bikes7wonders. This week, July 13, they’re hiding the Wallowas bike, also known as an “explorer machine,” for someone to find, own and ride. So get crackin’! What do you have to lose? People looking for a pleasant way to spend a summer evening will want to know about Dinner & Music on the Train, a special sunset train ride beside the Grande Ronde and Wallowa Rivers. The Eagle Cap Excursion Train departs from the Elgin Depot Saturday, July 18, at 4:30 p.m., for this rare opportunity to see the river landscape at dusk. Passengers will be treated to acoustic fiddle and bluegrass tunes, performed by Carla Arnold, Erin Morgan and Mike Evans. The meal, prepared by Ten Depot Street Restaurant of La Grande, is served as the train winds in and out of shadow, beside the sparkling waters. The twilight scenery is especially beautiful in the canyon, when the light is long and golden and wildlife ventures out of hiding. The ride returns to the Elgin Depot at about 9:30 p.m. Even if the day is hot, riders are advised to bring a jacket in case the evening mountain air feels chilly. Prices range from $45 to $80. The excursion train was given lots of TLC during the off season. Having received an exterior paint job last fall, this spring the interiors of two passenger cars were painted, seats were reupholstered in the coach car, and tables were replaced in the dining car. 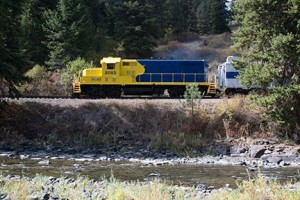 Volunteers say the train equipment is in the best condition since it came with the railroad when the latter was purchased in 2004 by the governments of Wallowa and Union Counties. Train Robbery Expected This Saturday! Riders on the Eagle Cap Excursion Train, June 20, should hide their valuables and have their cameras ready, as the train winds its way along the Grande Ronde River in northeast Oregon. The Saturday before Father’s Day is a favorite for bandits to come out of the forest on horseback, flag down the train and climb on board. Passengers can expect plenty of bad behavior, as the nefarious rascals make demands and brandish the weapons of their trade. There is no reason for fear, however. These bandits are just out to steal a few laughs and have a good time. They are also on board to draw attention to the Elgin Stampede, a fun and family-oriented PRCA rodeo that takes place July 8-11, in Elgin. The Stampeders provide quite the show, with a story line and some pretty sketchy characters. Don’t trust anyone! The annual Elgin Stampeders train robbery has become so popular, the morning trip sold out early. 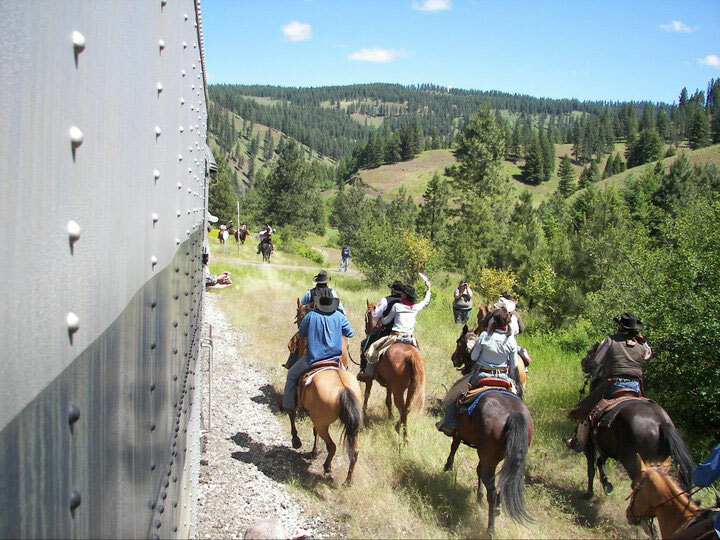 To accommodate the additional passengers, excursion managers have added a second run in the afternoon, which will be robbed by the Gold Rush Bandits – another band of outlaws, which is also known for robbing the Sumpter Valley Railroad on occasion. The train follows a route that is almost entirely roadless, offering views of a landscape that can’t be seen from an automobile. Highlights also include the Rondowa Bridge, where the Grande Ronde and Wallowa Rivers converge and continue their journey to join the Snake River. Tickets for the afternoon ride are available through Alegre Travel, the excursion train booking agency, 800.323.7330 or marie@alegretravel.com. Agents can also, upon request, book motel rooms and offer advice on other activities and attractions in the area. A season schedule and trip descriptions are available at www.eaglecaptrainrides.com. The Friends of the Joseph Branch invite you to an open house at the Elgin Depot, Saturday, June 13, 10 a.m. to 4 p.m.
Tour the train with an engineer. Tour the depot, stop in the gift shop and talk to our agent about this season’s schedule. Enjoy the historical photos and railroad artifacts. The depot is cool and refreshments will be offered, so stop by and get to know more about the publicly owner operation.